Not only is this bullet style slider nearly indestructible, it is also less prone to tangling and spinning during the cast. This fly is the most important fly to have in your bass box!!! The Boogle Bullet here in the top selling color which they call Solar Flare. We call it Chartreuse. We thought it was impossible to improve upon our favorite topwater, the Sneaky Pete...but here it is! Don't forget these on your favorite smallmouth stream or your favorite farm pond. Carried here in the size 4 in our favorite colors. 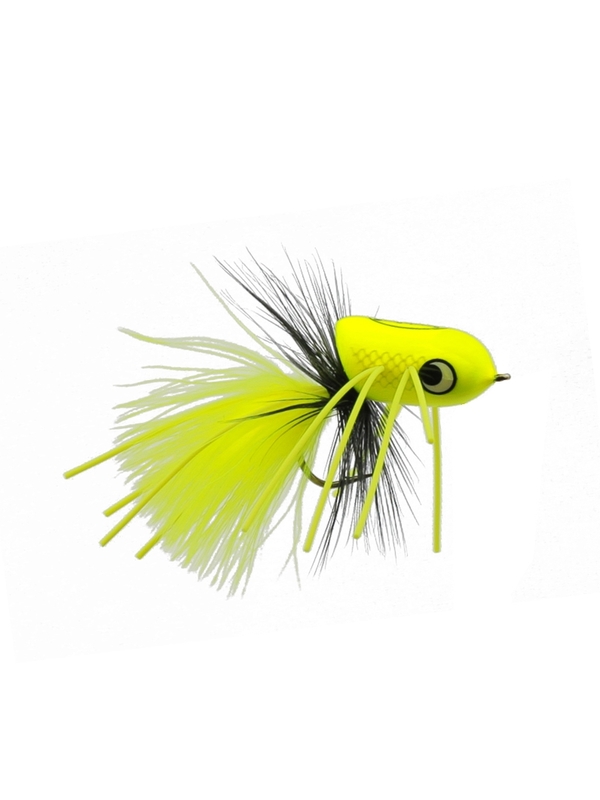 This one here is the chartreuse, which he calls solar flare, and it is the un-disputed "King of Bass Flies".